Why was my residence permit card bounced against the desk at immigration? This may sound like a very bizarre question, but today while entering Turkey at Istanbul Atatürk Airport, I was using my UK Residence Permit as an entry requirement (since Indian passport holders need to have a US/UK/Schengen visa or residence permit to enter Turkey with an e-visa). I have entered Turkey with a US visa on my passport many times before and never had an issue. This time, I used my UK biometric residence permit card for entry, and the immigration officer dropped it on his desk trying to bounce the card. I found it very bizarre, since I was unaware what he was trying to do, but it seemed like he was doing that to test for its authenticity. Does anyone have any idea why that would be the case? Also, more info on the residence permit card: it's a credit card size plastic card that is a regular EU standardised residence permit cards. It has a machine readable information strip on its back, and is biometric. 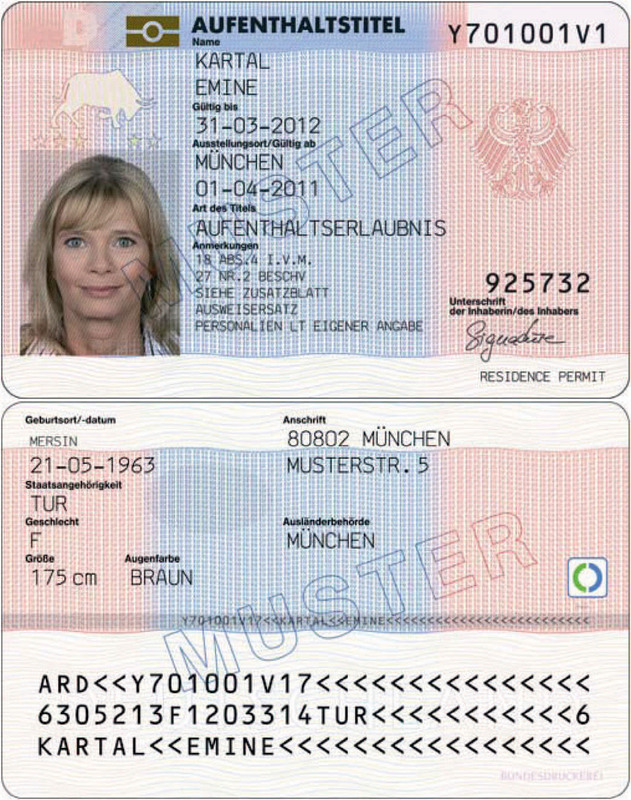 The image below shows a German equivalent of the same card. UK biometric residence permits are made of polycarbonate (pdf). Bouncing the card helps to determine whether it is made of the correct material, which is stiffer and harder than many plastics. Whether the criterion is the nature of the bounce itself, or the sound it makes, or something else, I do not know. Not the answer you're looking for? Browse other questions tagged customs-and-immigration turkey officials or ask your own question. Why was there no immigration control flying from Dublin (DUB) to London Southend (SEN)? Can I travel by plane with my residence permit, ID card, Geprivelgeerde Dutch card from Holland to Budapest, with my expired passport?